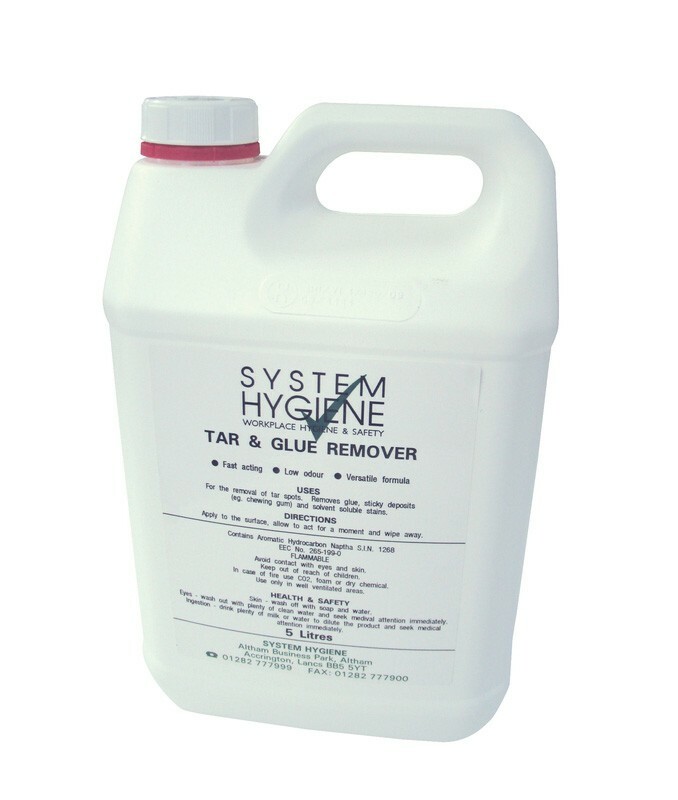 System Hygiene Tar and Glue Remover is a fast acting, solvent based degreaser that easily and effectively liquefies oils and grease on contact. The product is blended with a water-dispersable solvent, which emulsify with water for easy rinsing. It rapidly dissolves oil, grease, diesel, tar, bitumen, glue, chewing gum, rubber, wax and asphalt. Ideal to degrease engines and metal parts and to remove wax build-up from wooden floors. Low odour - no nasty smells when cleaning. 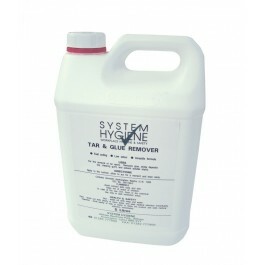 Dissolves all solvent soluble stains. Apply directly to the desired surface, allow ample contact time, and then wipe off with a clean cloth.